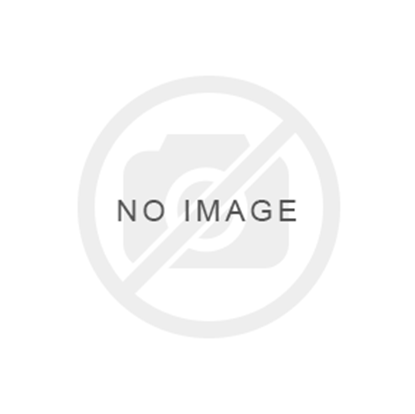 Computer Cable Store 1M Mode Conditioning Duplex Fiber Optic Patch Cable (50/125) - LC (equip.) to LC are made for use in Gigabit Ethernet 1000BASE-LX applications When deploying new high-speed 1000BASE-LX routers and switches in existing Multimode backbones, Mode Conditioning Fiber Cables are a must. 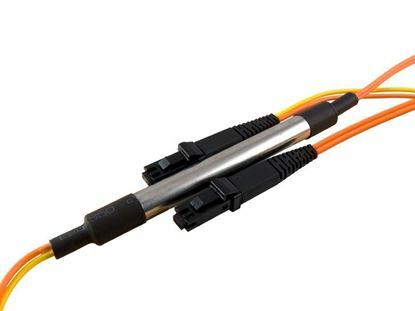 Computer Cable Store 1M Mode Conditioning Duplex Fiber Optic Patch Cable (50/125) - LC (equip.) 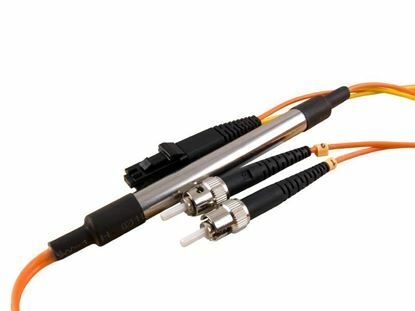 to MTRJ are made for use in Gigabit Ethernet 1000BASE-LX applications When deploying new high-speed 1000BASE-LX routers and switches in existing Multimode backbones, Mode Conditioning Fiber Cables are a must. 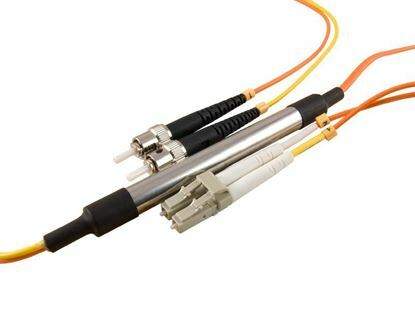 Computer Cable Store 1M Mode Conditioning Duplex Fiber Optic Patch Cable (50/125) - LC (equip.) to SC are made for use in Gigabit Ethernet 1000BASE-LX applications When deploying new high-speed 1000BASE-LX routers and switches in existing Multimode backbones, Mode Conditioning Fiber Cables are a must. 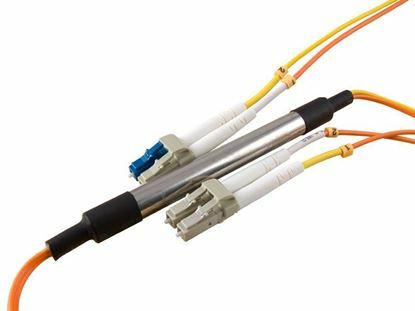 Computer Cable Store 1M Mode Conditioning Duplex Fiber Optic Patch Cable (50/125) - LC (equip.) to ST are made for use in Gigabit Ethernet 1000BASE-LX applications When deploying new high-speed 1000BASE-LX routers and switches in existing Multimode backbones, Mode Conditioning Fiber Cables are a must. 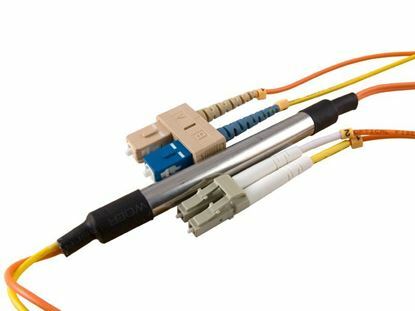 Computer Cable Store 1M Mode Conditioning Duplex Fiber Optic Patch Cable (50/125) - MTRJ (equip.) to ST are made for use in Gigabit Ethernet 1000BASE-LX applications When deploying new high-speed 1000BASE-LX routers and switches in existing Multimode backbones, Mode Conditioning Fiber Cables are a must. 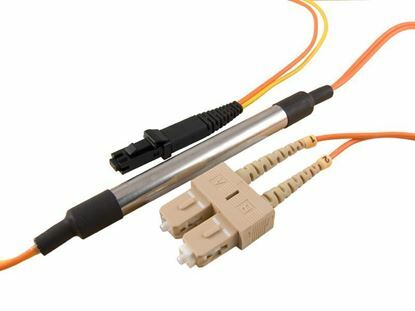 Computer Cable Store 1M Mode Conditioning Duplex Fiber Optic Patch Cable (50/125) - MTRJ to MTRJ are made for use in Gigabit Ethernet 1000BASE-LX applications When deploying new high-speed 1000BASE-LX routers and switches in existing Multimode backbones, Mode Conditioning Fiber Cables are a must. Computer Cable Store 1M Mode Conditioning Duplex Fiber Optic Patch Cable (50/125) - SC (equip.) to LC are made for use in Gigabit Ethernet 1000BASE-LX applications When deploying new high-speed 1000BASE-LX routers and switches in existing Multimode backbones, Mode Conditioning Fiber Cables are a must. 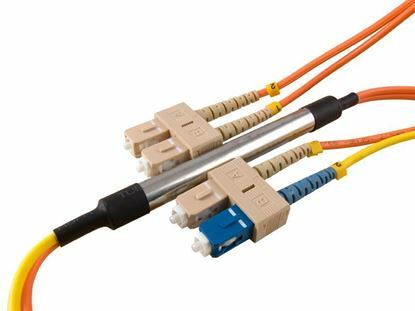 Computer Cable Store 1M Mode Conditioning Duplex Fiber Optic Patch Cable (50/125) - SC (equip.) to MTRJ are made for use in Gigabit Ethernet 1000BASE-LX applications When deploying new high-speed 1000BASE-LX routers and switches in existing Multimode backbones, Mode Conditioning Fiber Cables are a must. Computer Cable Store 1M Mode Conditioning Duplex Fiber Optic Patch Cable (50/125) - SC (equip.) to SC are made for use in Gigabit Ethernet 1000BASE-LX applications When deploying new high-speed 1000BASE-LX routers and switches in existing Multimode backbones, Mode Conditioning Fiber Cables are a must.